Four-color process printed on both sides of uncoated 100lb White Linen stock. H4 business card slits on right pocket. 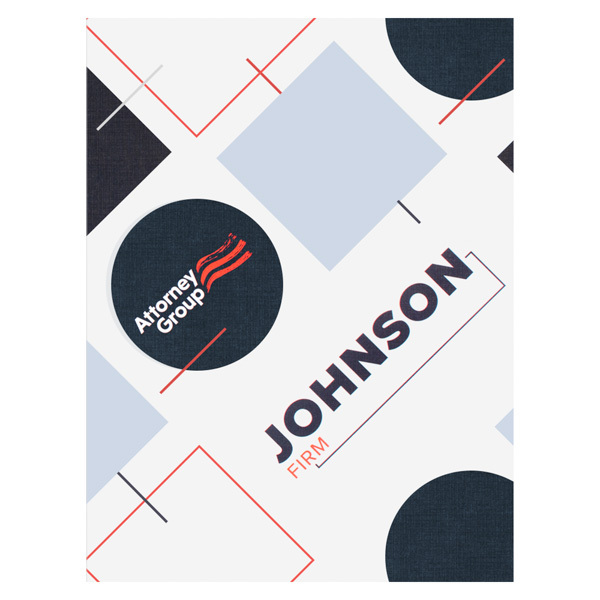 The shapes that span both covers of Johnson Firm's folder represent the firm's professionalism and commitment to their clients. The blue and red color scheme illustrates the firm's energy and integrity. Inside, clients will find an inspirational quote from Theodore Roosevelt on the pocket. Information about the law firm is also inside. Four-color process printed on both sides of 130lb C2S Dull stock. Coated with Aqueous Soft-Touch on Side 1 and Aqueous Matte on Side 2. H4 business card slits on right pocket. This design markets the scenic homes in Nantucket's Miacomet Preserve with a stylish two-tone color palette. The gray cover is classy, yet softer than traditional black. A darker silhouette of the reed logo decorates the cover and establishes brand identity. Trendy mustard yellow interior panels welcome potential residents. A full-color photo shows off a house below a paragraph about the Miacomet community, while the vertical right pocket describes the homes' features. On the back cover, a map of a Miacomet street leads customers to available residences. Side 1 printed with 1 PMS color using heavy coverage. Side 2 printed with four-color process. 130lb C2S Dull stock coated with Aqueous Matte. 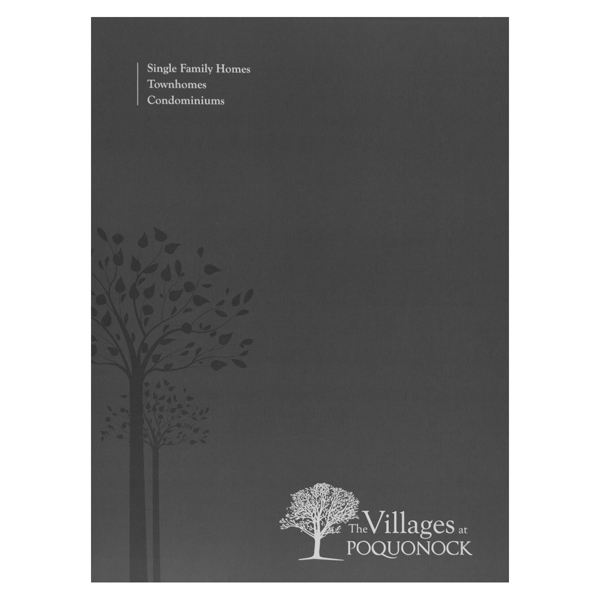 Dark gray and white trees symbolize The Villages of Poquonock's walking trails and nature preserve. Mustard yellow panels brighten the interior and complement the sophisticated gray pocket and outer panels. An amenity list and a note from RE/MAX Central agents Walsh and Presz welcome potential buyers, while an unlabeled map of the community on the back cover encourages clients to view the full map online. Four-color process printed on both sides of 14pt C2S White Semi-Gloss stock. Coated with Aqueous Matte. C1 business card slits on right pocket. Black panels and a diamond plate pattern imply strength and masculinity for users of MuscleDriver USA's exercise equipment. Red accents bring a spark of warm color to the design and match the brand's logo. On the interior, a photo of a gym shows racks of weights. The feathery image creates a lens effect that makes the gym seem daring and mysterious. Contact information is easily visible on the bottom of the pocket. 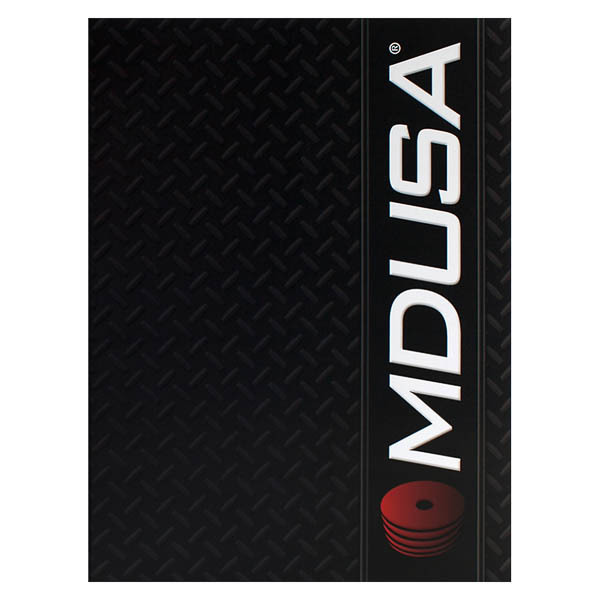 Available in portrait or landscape orientation, this product lets you match the layout of your 8 1/2" x 11" print materials. In portrait orientation, the 12" vertical pocket's tall, narrow shape makes it a great info flap. In landscape orientation, the cover opens matchbook-style to reveal the pocket on the lower panel. This horizontal layout offers a wide design area for photos, illustrations, or cool branded graphics. 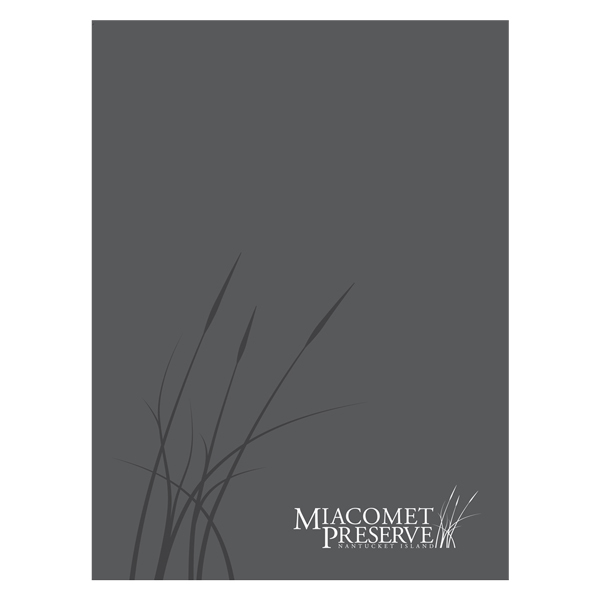 The pocket-less panel looks great printed or left blank for a clean, modern look.